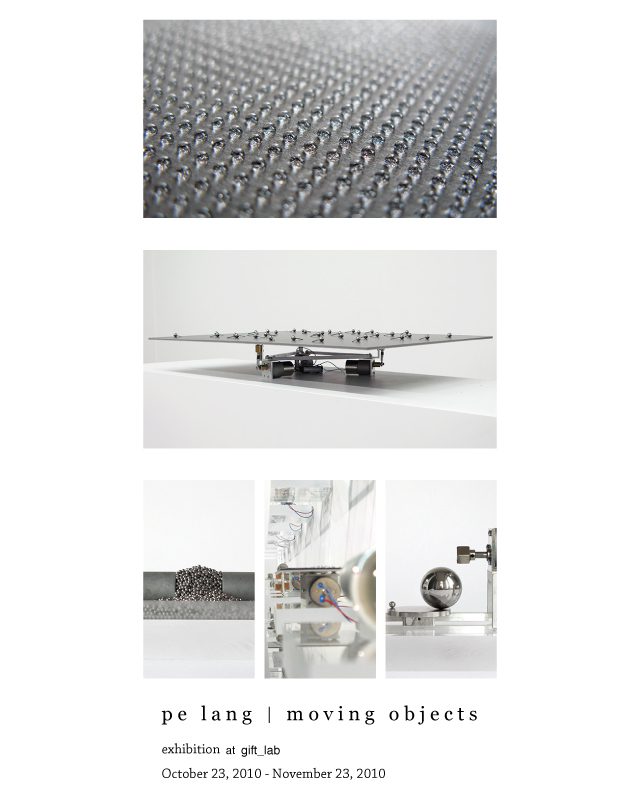 Pe Lang realizes performances and creates sound installations by ingeniously assembling magnetic, electrical and mechanical devices and even inventing new devices and prototypes. The resulting works are both visually appealing, because of their elegant and minimal kinetic qualities, but also fascinating for their acoustic features. If chance plays an important role in his works, the artist playfully manages to balance between order and chaos by controlling the forces involved in his compositions: the precision of the mechanical devices and the confusion resulted from the collision of the various elements. Oct. 23, 2010 - Nov. 23, 2010.
date: October 23, 2010 - November 23, 2010.